130502-013 Deltic, class 55 no. 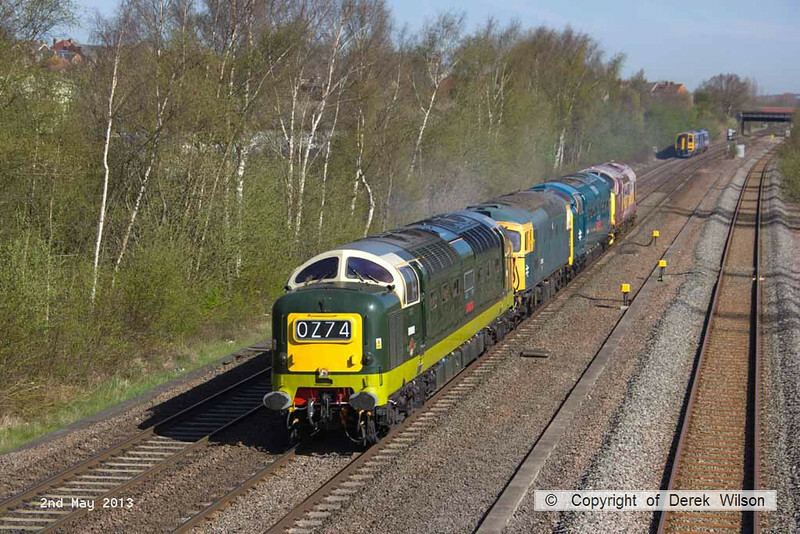 55009 Alycidon is captured passing Langley Mill, hauling 33108, classmate 55019 & 37251. The convoy was heading to the Dean Forest Railway as 0Z74 1000 Butterley M.R.C. to Lydney Junction where 31466 was attached. The following day the convoy completed it's journey to the Swanage Railway for the forthcoming diesel gala.